The Law Society has issued a damning critique of the Solicitors Regulation Authority’s (SRA) proposals for a streamlined code of conduct and – to a lesser extent – its planned overhaul of the accounts rules. The code of conduct proposals – for a seven-page code for solicitors and a six-page code for firms – were misconceived, unnecessary, unclear, would create a two-tier profession, and threatened solicitors’ reputations, the society said in a fierce response. The evidential basis of the SRA’s plans was “neither robust nor sufficient” and even “flawed and dangerous”, it said. There was no evidence that major regulatory reform was pressing and in the circumstances of national uncertainty following the decision for the UK to leave the European Union, should wait “at least until the immediate issues around Brexit” were addressed. The society objected to the SRA’s premise that reform was justified because of unmet legal need assumed to result from the current regulatory regime stifling innovation. It pointed out that the Competition and Markets Authority, in its provisional report on legal services, had not referred the market for formal investigation. In fact, it argued, the most significant unmet need related to the removal of legal aid. On the accounts rules proposals, the society was more equivocal. It supported “the principle of simplification [as long as] the new rules are practical and genuinely simplify compliance for solicitors without reducing client protections”. 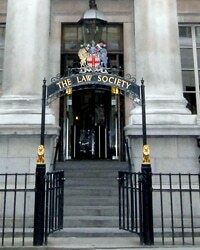 The society agreed that the rules should be relaxed to allow more solicitors to use third-party managed accounts. But it did not agree that the definition of client money should be changed to exclude fees and disbursements, saying it was “not persuaded that the risks for clients would be offset by the suggested benefits of the proposed change; in particular… whether firms operating with an overdraft in the office account would be in breach of requirements to protect client assets and might incentivise poor behaviour”. Law Society president Robert Bourns said: “Currently if you walk into your local solicitors’ firm in any part of in England and Wales, you get the benefit of legal professional privilege for communications, full insurance cover in the unlikely event things go wrong, and protection from the solicitor acting in conflict with the interests of the consumer. “The SRA has failed to make a convincing case when it comes to any benefits from its proposals. There simply isn’t convincing evidence that allowing solicitors to deal with the public from unregulated companies will either drive up choice or drive down cost.